William G. Martin is a professor of Sociology at SUNY-Binghamton, and co-author of After Prisons? Freedom, Decarceration, and Justice Disinvestment (2016). 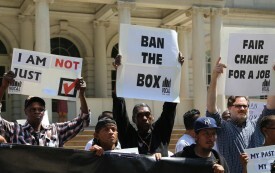 Did SUNY Ban the Box? Or Just Move It? It is hard to avoid the conclusion that the box has simply been moved further down the line.